I liked the first gift card holder so much, I decided to try another. This one is for a man's birthday, so I had to keep the frills to a minimum. One of the many great things about being in the wonderful demonstrator groups that I am a part of is the swapping. 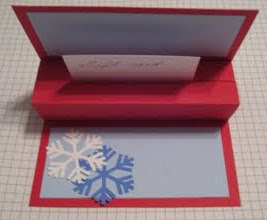 I found directions on Michelle's blog for this awesome gift card holder. 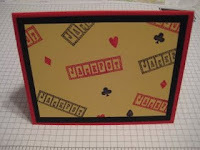 I made this for a "Wow" swap and liked it so much we made it in stamp club the next month. 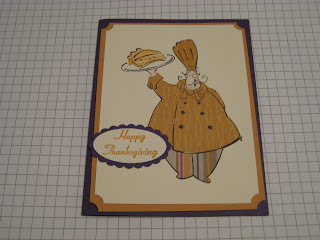 Here is that great chef from the Voila stamp set. 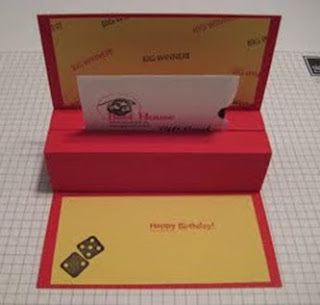 This was another stamp club project. 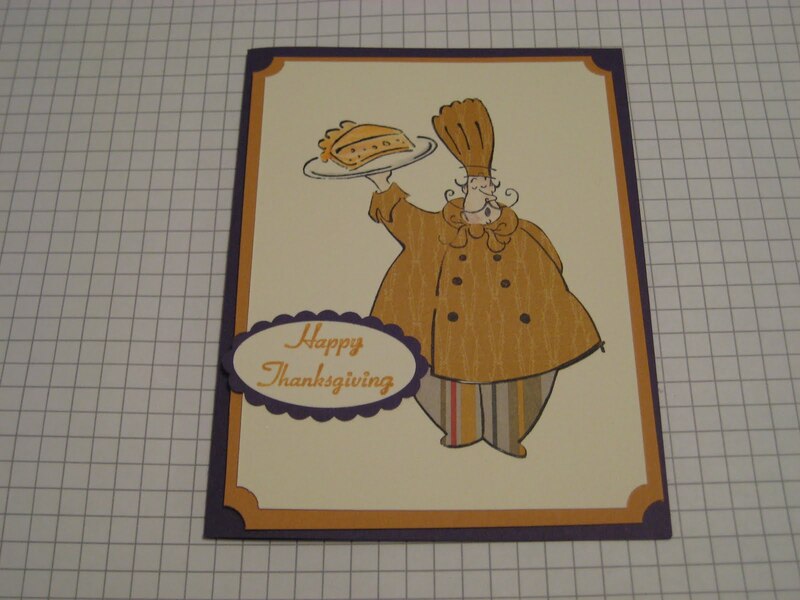 We used the Autumn Traditions Designer Series Paper to paper piece his outfit. Enjoy your pumpkin pie with your families today! Here is my version of the side step card that my friend, Julie Davison, created for a make-n-take at our Impeckable Stampers meeting. I wasn't able to attend the meeting but had to try one out for myself. I changed her colors and did this one with my stamp club. 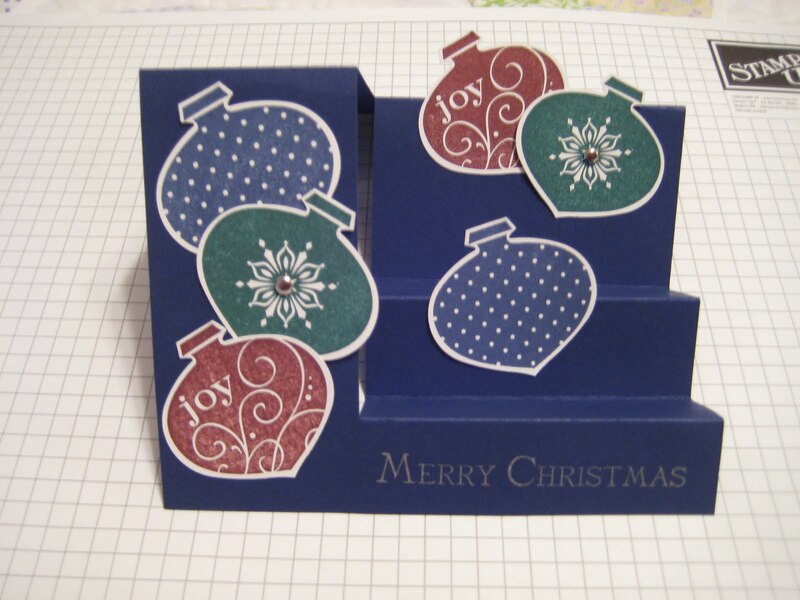 It's another great way to use the ornament punch. Both the punch and Delightful Decorations are available in the Holiday Mini Catalog through January 4. 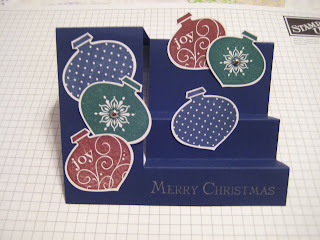 I just love the Delightful Decorations stamp set and coordinating punch. They make great cards of all sizes. 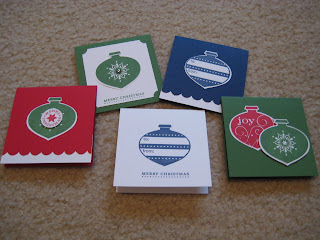 These are 3 x 3 cards that I put together for a hostess thank-you gift. It's just a little something extra for my great workshop hostesses. 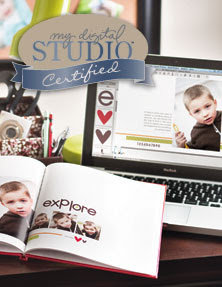 Our new My Digital Studio™ is so easy to use. I created an 8 x 8 bound scrapbook of my trip to the Stampin' Up! convention with no troubles. And it does oh so much more than scrapbook pages! 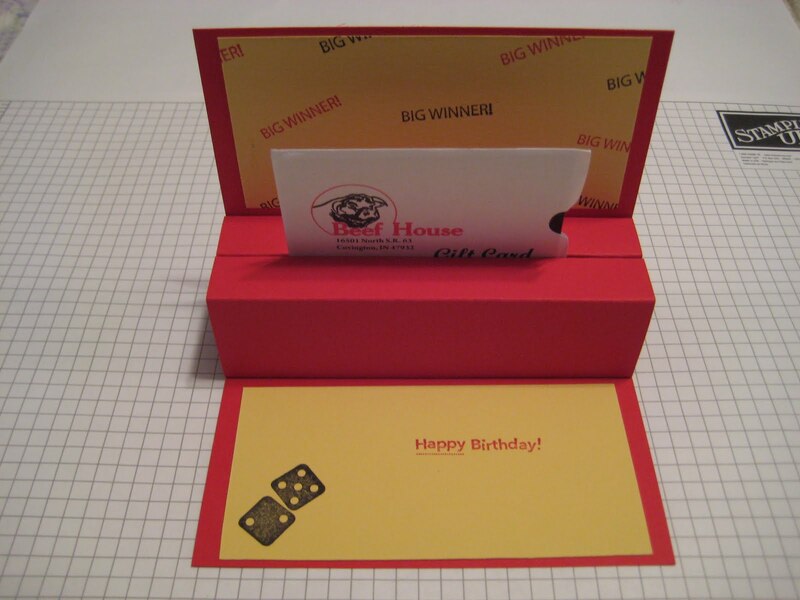 You can design cards, calendar pages and even multimedia creations. I have also found it helpful when I am creating a traditional cardstock scrapbook page to use My Digital Studio first for design, and then it's a cinch to sit down and create the pages with cardstock and stamps. I recently went through the online training to become My Digital Studio Certified, so I will be glad to help you with your projects. My photography doesn't do this card justice. The Very Vanilla cardstock has been misted with a mixture of rubbing alcohol and shimmer paint. 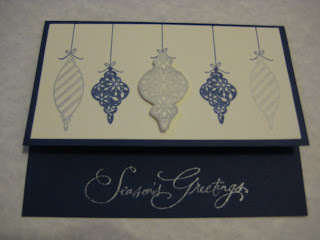 Add that to one of my favorite color combinations of Night of Navy and Silver for an elegant holiday card. 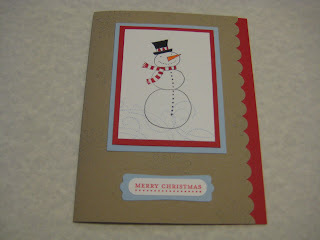 This card uses the cute Level 2 hostess set, Snow Buddies, available in the Holiday Mini Catalog. 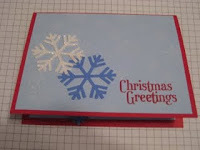 Because I used kraft cardstock this time, I resisted the temptation to use shimmer paint. 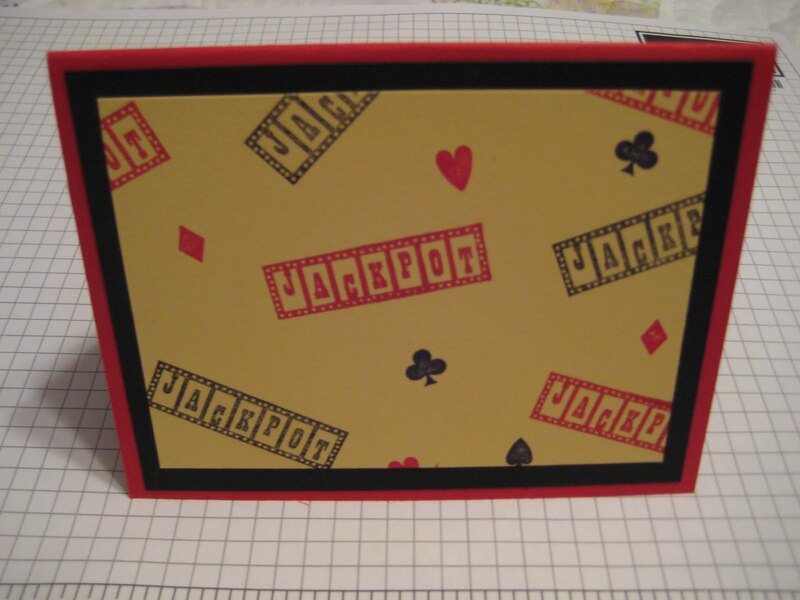 This is another of our Stamp-a-Stack cards this month.